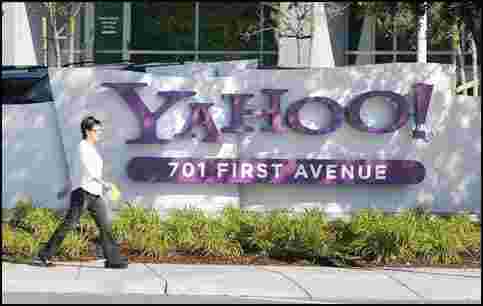 Over the last few weeks, potential buyers including large technology and media companies, private equity and international companies have proposed many different options regarding Yahoo’s various businesses, one of the sources said. “Almost everyone on the street has some angle they are trying to play," the source said. Jack Ma, the founder and CEO of Chinese e-commerce giant Alibaba, told an audience at Stanford University that he would be “very interested" in buying the entire Yahoo. The executive, who was speaking at the China 2.0 conference, said he had not visited Yahoo to discuss a deal since he arrived in the United States 15 days ago. The struggling company is expected to take months to decide its future. Yahoo announced it had retained Allen & Co to help it conduct a long-term “strategic review." Private equity firm Silver Lake Partners is among the parties that have been in touch with Allen & Co, according to a source familiar with the matter. A Silver Lake spokesman declined to comment. In a memo to employees last month, Yahoo executives said its advisers were “fielding inquiries from multiple parties that have already expressed interest in a number of potential options." Goldman and Yahoo declined to comment. Allen & Co was not immediately available for comment.